The Competition is on the peak level thus challenging the candidates to go the extra mile. It is high time to work solemnly on every subject and every topic included in the exam syllabus. 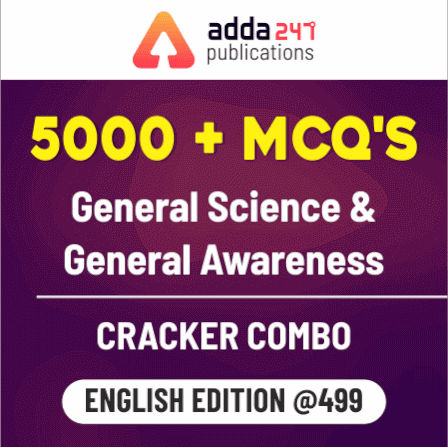 Considering the same, General Awareness, an undeniably important Section for RRB JE, RRB NTPC, SSC CGL, SSC JE, SSC CHSL, SSC MTS Exams needs to be studied thoroughly. Also General Science either as an individual section or as an ineluctable part of General Studies pulls a crowd of aspirants on edge. 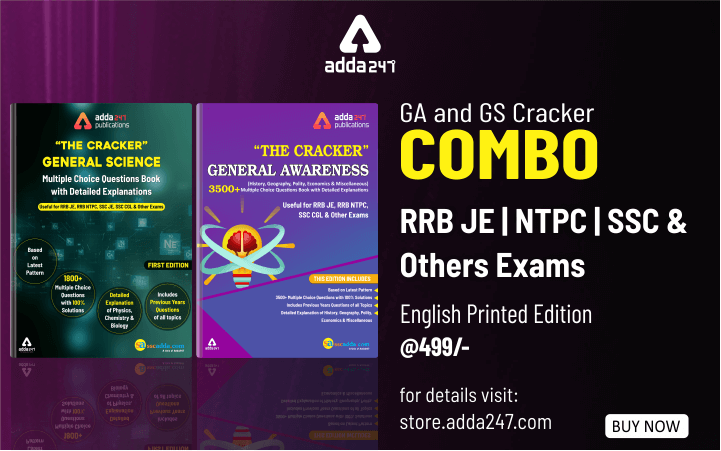 Considering the same, acing General Awareness and General Science is a way forward for the exams and GA and GS Cracker Combo for RRB JE | NTPC | SSC & others Exams (English Printed Edition) by ADDA247 at just Rs.499 ensures a thorough improvement in your performance for govt. exams. Detail Explanation of History, Geography ,Polity , Economics & Miscellaneous. 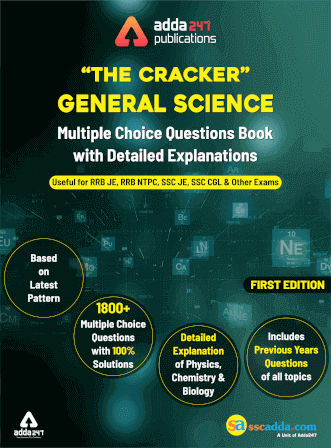 GA and GS Cracker Combo for RRB JE | NTPC | SSC & others Exams (English Printed Edition) is a unique compilation of exam oriented general awareness and general science questions which extensively sums up History, Geography, Polity, Economics & Miscellaneous and Physics, Chemistry and Biology based topics respectively and reinforces the concepts in aspirants’ mind with various types of questions duly categorized into Distinct Questions and Previous Year Questions.